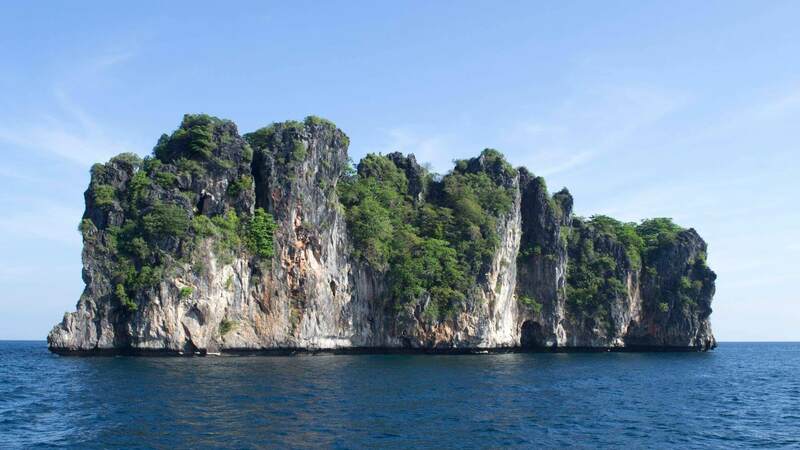 Koh Doc Mai (or Koh Dok Mai) is a small limestone island jutting vertically out of the sea about 20km east of Phuket. It’s dived every day as part of 3 dive trips to the King Cruiser Wreck or sometimes as the 3rd dive on the way back from Phi Phi. The depth can get down to 25 meters, but as a 35rd dive you normally do Koh Doc Mai as an 18 meter dive. The vertical limestone walls continue underwater with a sheer drop on the east side and a slightly gentler slope on the west side. 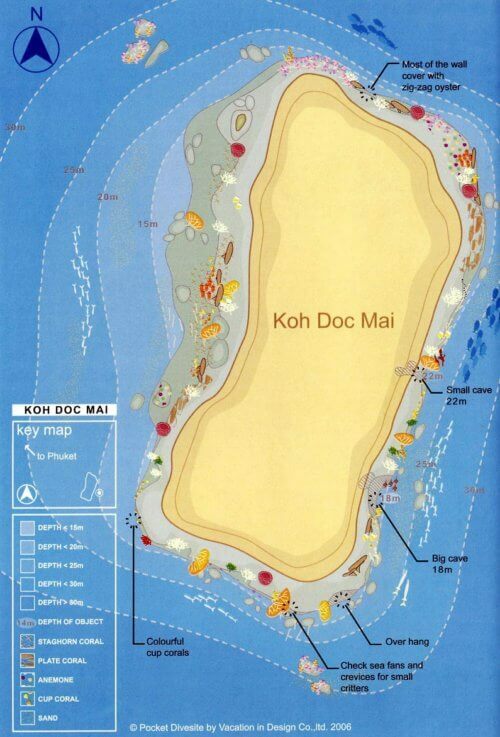 The name “Koh Doc Mai” means Flower Island, although the island has no flowers on it! There’s no way to land on the island and it has no construction on it. The wall on the east side of Koh Doc Mai is where people tend to dive. The wall is covered in soft corals, gorgonians, sea whips and fan corals. 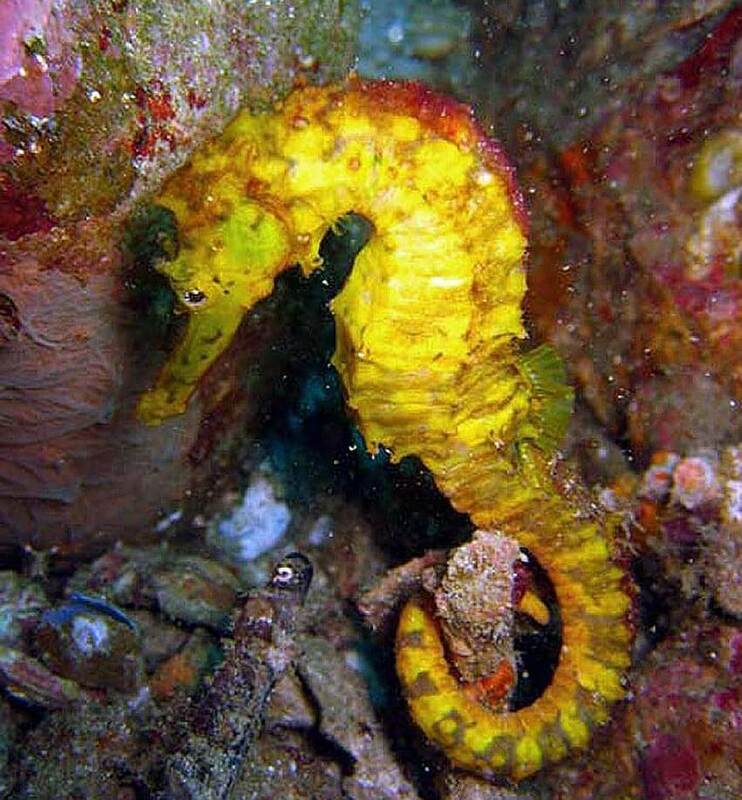 It’s a place to dive slowly looking for smaller critters like seahorses or ghost pipefish. Nudibranchs are common too as well as small white-eyed moray eels. It’s a real macro lover’s site, although bigger fish like leopard sharks or schools of various reef fish can be found. At the base of the wall on the east side of Koh Doc Mai are a couple of caverns. You should not enter without proper training as they reach quite far back into the rock. Note that currents can be fairly strong at times. This can make it hard to move slowly as you may be pushed along the wall by the current for a while until you reach a point where the current is having less effect. Visibility here can be as high a 20 meters, but can be less than 10 meters at times. Koh Doc Mai can be dived year round from Phuket. 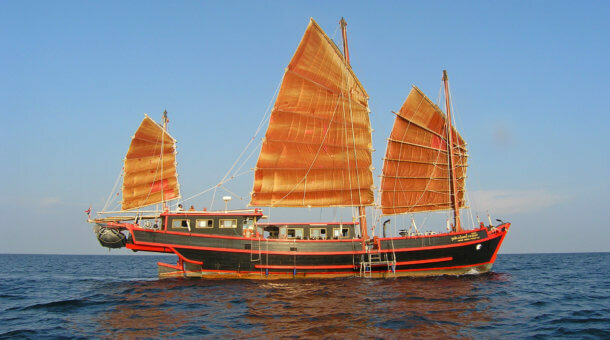 There are day trips every day which include Koh Dok Mai combined with the King Cruiser Wreck and Shark Point. 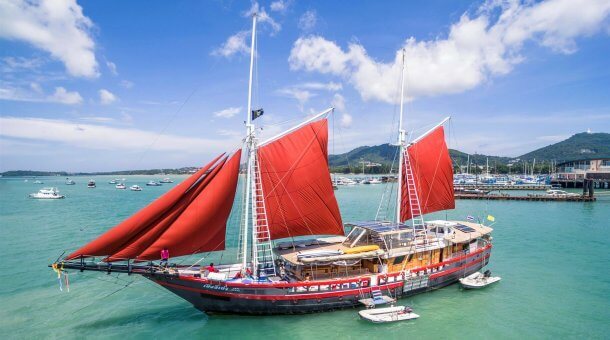 All trips include 3 dives, one of which will be at Koh Doc Mai – usually this is the 3rd dive of the day although on some trips Koh Doc Mai can be dived first if currents are not suitable for the wreck.